There's a strange announcement from the private vanilla WoW community, as the Nostalrius team is pulling their code and character data from Elysium. Back in December, the Nostalrius vanilla WoW servers relaunched under the banner of the Elysium Project. This came about because Blizzard had issued a cease and desist to the Nostalrius team back in April. After a high profile petition and much attention from the community, Blizzard actually met with the team and acknowledged the interest in so-called "legacy servers." But when Blizzard failed to mention official legacy servers at Blizzcon, the Nostalrius team announced that it would be bringing the servers back by giving the code to the Elysium project and making character transfers available. Now, just one month after their return, the Nostalrius team is calling on Elysium to pull the plug. "Contrary to our expectations, our decision to release our source code and character database to Elysium actually made our 2 goals harder to achieve, implying a thought decision to make." "We ask Elysium to join this effort for Legacy realms by stopping to use data that we provided. We know they aim at official legacy realms as we do. We have already stopped the account transfer process from our side as a first step. 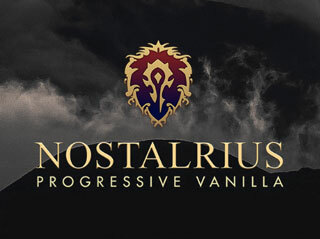 Nostalrius community is no longer about private servers, it is about official legacy realms." The appeal is couched in terms that make it apparent that the Nostalrius team feels that the existence of its server makes it less likely that official legacy servers will happen, and that their community wasn't satisfied with the move. "Today, only 10% of the former Nostalrius players have generated a token to join Elysium, and we believe that we failed to satisfy this community entirely, as at the same time legacy fans acquired a reputation of "pirates" on the official WoW community." "Are you for real right now? Is it just character data or you mean the source code? You say you care about legacy servers, yet you imply we just have to life with the fact, assuming Elysium believes this non-sense, that we'll once again lose our characters we worked on for well over a year now? How does taking away our characters again on a private server have anything to do with legacy servers? If anything, the bigger Elysium grows, the more attention it will bring. Attention is what you need, thats what you managed to get with Nostalrius, and what got you a meeting at Blizzard right? Attention is the only way Blizzard is ever gonna take legacy servers serious." The community is obviously not happy with the decision, and it's unclear what prompted the move. There's been no response from the Elysium Project, and in fact its website is currently offline, with a cached version being displayed. We'll keep an ear to the ground for more information, but for now, there looks to be a rift of sorts in the legacy server community.